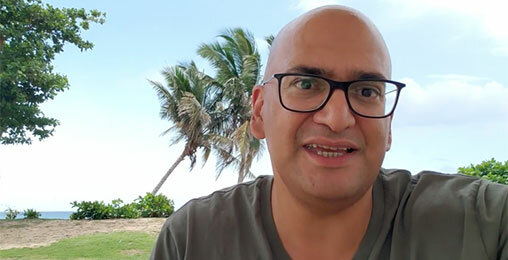 Nick’s Note: Regular readers know that world-renowned cryptocurrency expert Teeka Tiwari is a globetrotter. When there’s a major blockchain event or an exclusive insider meeting, he boards a plane and heads to where the action is. Nick: T, you were pretty excited about your recent Tuscany excursion. Can you tell readers about what went on? Teeka: I was invited to Tuscany to meet with some of the biggest investors and programmers in the blockchain space. But before we get into the biggest thing I took away, let me set the stage first. We were in the hills of Tuscany. I would walk out of my room and see rolling hills filled with grape vines. And the meeting was held in a 10th century castle. The castle had massive windows overlooking the valley, which is rare for a castle from that time. But since the walls are made of six feet of solid rock, they could support these windows. It was hot there this time of year. I’m talking South Florida hot. But it stayed cool inside the walls of the castle. It was the perfect place to hold a low-key meeting and talk about the future of blockchain investing. Nick: Sounds amazing. Italy is on my top 5 list of places to visit… So what did you learn at the meeting? Teeka: I learned a lot there… But the most exciting thing I learned is that pension funds are getting closer to investing in cryptocurrencies. I met with a guy who manages billions of dollars of pension fund money. He was making a fortune doing this. But he gave up that cushy job to do something different—to start a fund to help pension plans invest in cryptos. This sounds crazy to some—pension plans are the most conservative money in the world. People rely on them for their income during retirement. We’ve warned readers that these pension plans are grossly underfunded—even after one of the longest bull markets in history. I mean, if they’re not fully funded now, when will they be? 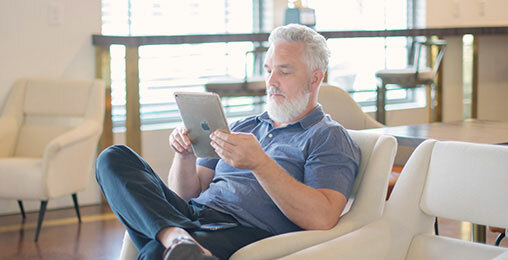 According to one report, federal, state, and local employee pension plans have a combined $7 trillion in unfunded liabilities. They need to get more returns, and one of the few places in the market you can do that right now is in cryptos. 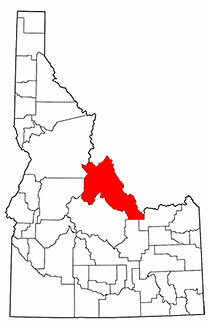 We’ve discovered a very uncommon wealth secret in—of all places—Idaho. See the red spot? It’s the exact location of a resource that is quickly becoming the most important commodity in the U.S. right now. Even President Trump—through an executive order—is conducting a nationwide hunt to see if other parts of the U.S. contain this unusual resource. So far, investors who put an early stake in this unusual resource have seen rare gains as high as 3,750% in 22 months and 4,628% in 21 months. But you DON’T have to live in Idaho to take part. All you need is a regular brokerage account. Nick: I’ve done some work with pension funds in the past. And custody—who holds the assets in these plans—is a huge deal. There’s no way these funds are going to hold onto cryptos if there’s no custody solution for them… Do you see that coming soon? Teeka: Nick, you’re absolutely right… And that’s what this guy I met is going to remedy. He’s going to create what’s called a “fund of funds.” A fund of funds is a hedge fund that invests in other hedge funds. This may sound minor, but it’s not. A pension can invest in a crypto fund of funds because then, it will just own shares in other hedge funds. It won’t directly invest in cryptos. Now, these pension funds can go to their trustees and say, “We just own shares of hedge funds.” They don’t have to say they’re invested directly in cryptos. This guy is just one of about 100 people starting these crypto funds of funds. Funds of funds are nothing new. They’ve been around for a couple of decades. But a crypto fund of funds will allow billions of dollars of pension fund money to flow into the space. And a good portion of this money will flow into the crypto coin market. These funds will gear toward certain cryptos that appeal to institutions—projects that have highly credible teams that are solving big problems. These are exactly the types of projects I’ve been recommending to my subscribers for almost three years. And despite the recent pullback, we’re up an average of 728.6%. Once pension fund money comes in, I expect those returns to skyrocket even more. Now obviously, bitcoin will get a lot of attention from these types of funds. But there are many other cryptos that will attract pension fund money. Nick: Thanks for giving us a peek into your insider network, T.
If you do invest in this emerging asset class, we always recommend you take small position sizes. Don’t bet more than you can afford to lose—$200–400 is enough for a small investor to make life-changing gains. Bitcoin and all cryptocurrencies are volatile. So, small position sizes will allow you to keep a cool head during extreme periods of volatility in the crypto market. P.S. Last month, Teeka held the largest event in our firm’s history, with nearly 50,000 people tuning in to his live broadcast from Glenn Beck’s Dallas studios. As you can imagine, we were overwhelmed with questions—over 16,000 from across the world. Due to the demand, Teeka has agreed to do a live follow-up Q&A briefing this Wednesday, August 8 at 8 p.m. ET. He was publicly mocked by a millionaire for his last prediction… then the stock went from $25 to $206. Now he’s making his next shocking prediction. HINT: No one on Wall Street sees this coming. Each month, we update our Elite 25 portfolio. We remove stocks that are too expensive and replace them with stocks that meet our three criteria for elite status. In July, the Elite 25 rose 0.4%, while the S&P 500 ETF (SPY) was up 3.7%. The two biggest winners were technology companies. Aerojet Rocketdyne (AJRD) jumped 14% and Ituran Location and Control (ITRN) bounced 12% on solid earnings reports. On the downside, MCBC Holdings (MCFT), the parent company of boat manufacturer MasterCraft, fell 13% on no news. Click here for the updated Elite 25 list. Wouldn’t he/she agree that the useful things like the internet and GPS would have been invented anyway? That $800 billion per year spent on defense is quite an expensive way to get duct tape or cargo pants, just to name a few of the consumer goods. Not to mention the trillions that disappear in the Pentagon. We could argue whether the U.S. is really safer because of all this military spending… But what if the government (if you want one) would spend it on doctors and medicine instead of soldiers and bombs? How many people would say, “Let’s kill them; they just saved our whole family.”? In my mind, nobody is grateful for droning a wedding and you just lost potential customers who could buy a Coke, duct tape, or cargo pants.